We were already aware that the special edition Luigi 3DS XL was going to be released alongside Mario and Luigi: Dream Team on July 18, but Nintendo has decided to officially mark it with the launch of a new website, and an official date. With it being ‘the year of Luigi’ and getting his own timeline from Nintendo UK, it’s high-time Mario turned green with envy at his brother’s spotlight when the Luigi-themed Nintendo 3DS XL hits Japan on July 18. The special edition console will also come with a 4GB card and a pre-installed version of Mario and Luigi: Dream Team for the snazzy price of 22,800 yen – approximately $225 USD. Let’s hope this bundle gets the ‘greenlight’ to come over to the West. luigis threatening me to buy this but i all ready have a 3ds!!!! luigi’s mansion is a fun game, even after story to play multiplayer a few times a week. but leavers in multiplayer is the biggest problem.. Probably in the minority here, but that 3DS looks horrible. I’m waiting to buy an Xl, this one looks ok, but im waiting for the new zelda one, if they make one! Or, I would buy that striped one if I had a chance that one is pretty snazzy. Man that 3ds is dope. i wanted to buy this when they revealed it 3ds xl only and now they’re saying it comes pre-installed with the dream team? God man im so tempted but i’m gonna hold out for a zelda 3ds xl assuming there will be one. 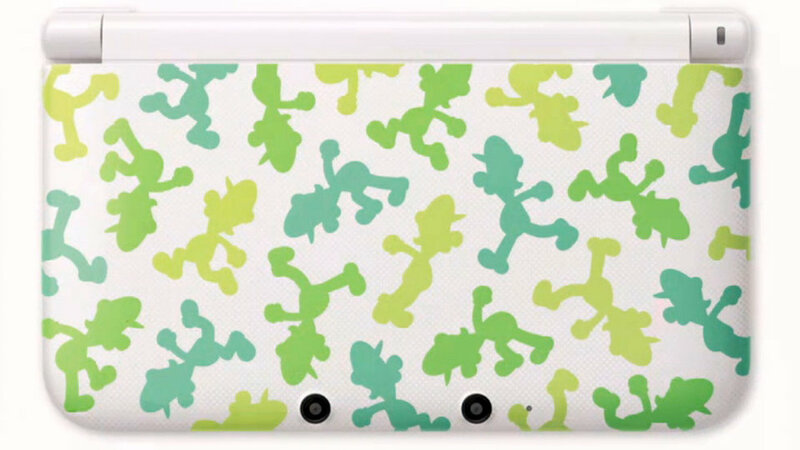 Hi can u tell me if the luigi themed 3ds xl will be released in Great britain England? Thank you.